When Planned UnParenthood Creating a Life Without Procreating was released in 2012 it was with the intent to educate, inform and entertain. I felt this was my very first workable book idea worthy of finalizing and finishing. The book challenges several stereotypical views that a generally pro-natalist society has of those choosing no children. Among those challenges, were the notion that families without children are often failed to be recognized as families. Another, the notion that one should have children in order to increase the chances you will have guaranteed caretakers in the later stages of life. In the book I spoke about these things and other ideas from the perspective of a childfree male. Within a few weeks of the book’s release I realized my book was among the first (if not the first) of its’ kind. As my writing permits I have promoted more positive things about choosing no children from my perspective. Winning International Childfree Man of The Year last summer was certainly an honour. I appreciated that this book was saluted for what it is and was meant to be. If I were to be called an activist I would be fine with it although the title does not reverberate with my identity. If I was to consider myself an activist it would be more in relation to the many animal rescue groups that I have promoted through Twitter @WriterDann. Perhaps I have accidentally become an activist for childfree people without fully intending to end up with that tag. I consider myself a writer first. In the childfree discussions I am always willing to look at it from all perspectives. Writing about the sheer heartbreak many people have felt at not being able to have children opened my eyes to a forgotten demographic. The few words I penned in the book devoted to adoption were well-researched points that needed to be said. In particular, I still am troubled and deeply offended by the notion that some people still feel that the LGBT community are not capable of being good parents. The countries that allow these families to adopt children deserve a salute. In all of the press I have done to date on this book it has been a pleasure to discuss the wide range of sub-topics in connection to the choice of not having children. Writing about this lifestyle choice has given me tremendous insight into how challenging parenting can be. The feedback from readers has been overall very positive. Parents who have read the book continue to tell me that “they get it now”. The book is destined to have a very long shelf-life. So my work in having discussions on the topic is far from over. Even as I work on other things something always seems to come up in relation to this book. I would call that a great sign of longevity in the business. 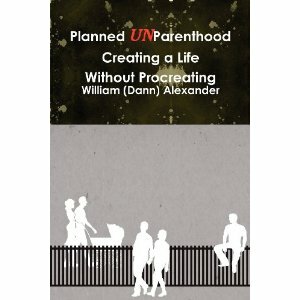 Planned UnParenthood is available at Amazon and other online retailers worldwide. Posted in Notes from the Frogpond.Tagged Adoption, Amazon, Author, books, childfree, good parents, LGBT, LGBT Adoption, lifestyle, parents, Planned UnParenthood Creating a Life Without Procreating, writing.